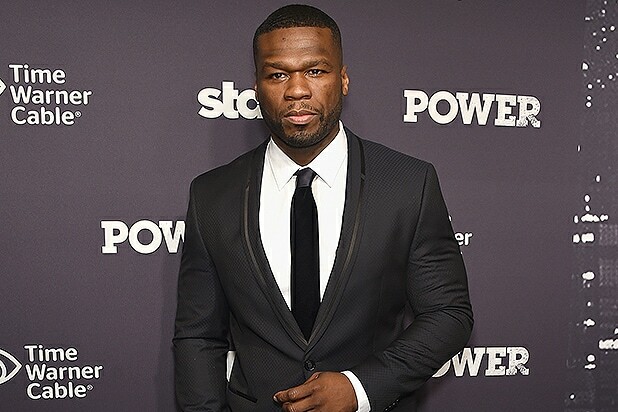 50 Cent’s on-again, off-again relationship with Instagram is off again. 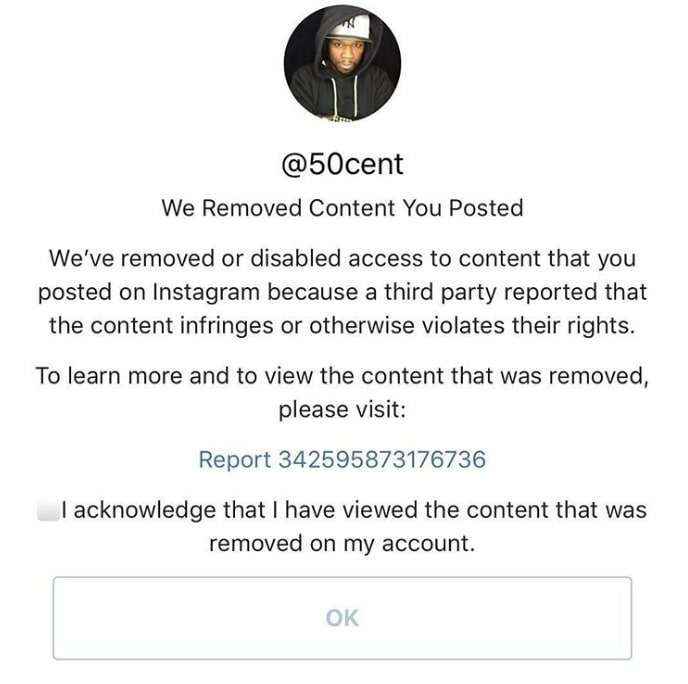 The farewell post was accompanied by an image of a message, presumably from Instagram, stating that content the rapper had posted was removed. “We’ve removed or disabled access to content that you posted on Instagran that a third party reported that the content infringes or otherwise violates their rights,” the message read. The rapper didn’t elaborate on the nature of the content. Followers of 50 Cent’s Twitter account might want to brace themselves for a bawdy time. The rapper also said earlier this year that he was done with Instagram, saying he was “practicing abstinence” — and, shortly thereafter, posted a number of masturbation-themed tweets. It should be interesting to see what 50 Cent, uh, pulls this time around. Read 50 Cent’s latest kiss-off to Instagram here (and the screen grab he shared with it is below).